Happy Sunday! 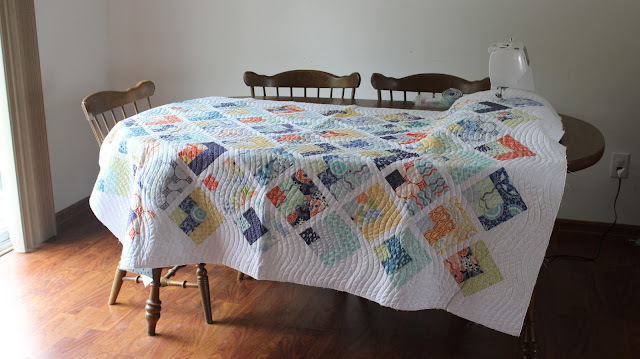 My Quarter Log Cabin Quilt is finally quilted and bound and I'm happy to be able to share it with you today! For the quilt top and binding I used a Jelly Roll from the Kate Spain "Sunnyside" fabric line. The backing is a beautifully simple Lotta Jandsotter print, and the background is Kona White. 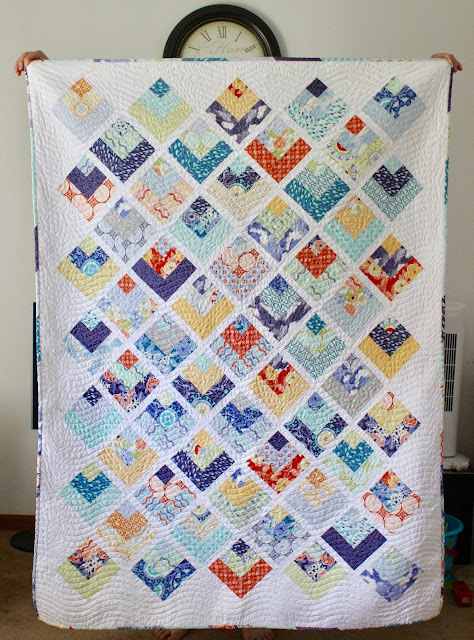 I think everything came together well, and I'm so happy with the finished quilt! 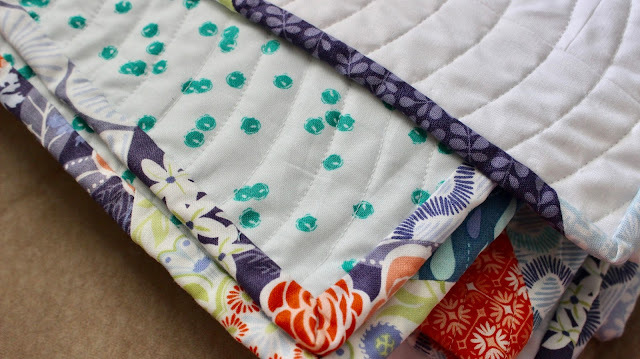 Speaking of Jelly Rolls.... Did you all take part in National Sew a Jelly Roll Day?? 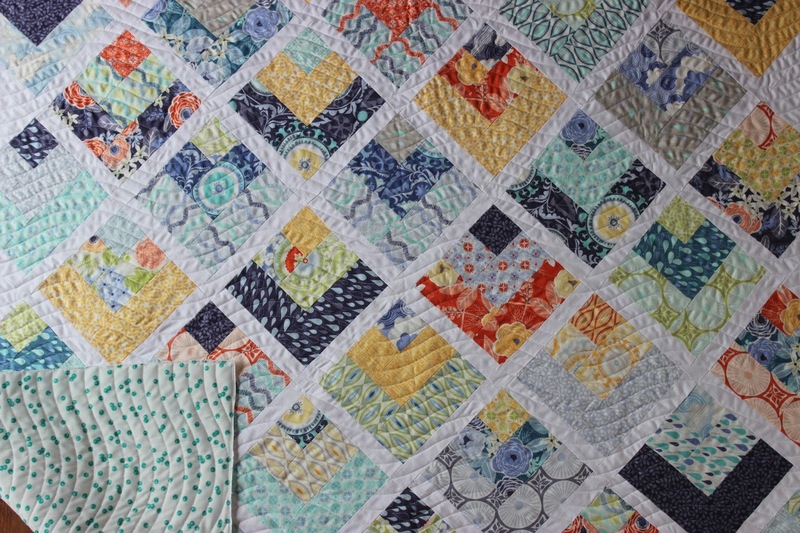 If you missed it and are still looking for a quick quilt, this is made from half a jelly roll! It finished at around 61" x 70" after adding borders (of course you could make it as large as you want by using more of the jelly roll) and it's the perfect throw size. Download the PDF here! or click for a free blog tutorial. 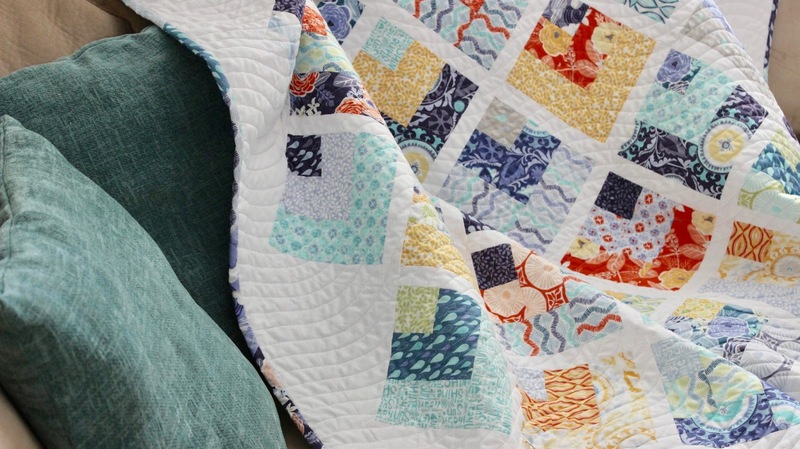 You can read all about the process behind this quilt pattern here, and view the free tutorial at anytime. Beautiful and classic design! I love Kate Spain line you used.